The fact that the above message elicits eye-rolls is a testament to its ubiquity and represents LinkedIn’s increasing usage and growing user base. With its recent acquisition of Bizo and having been acquired by Microsoft, the platform continues to expand its network and refine its advertising effectiveness. LinkedIn Ads’ capabilities today are leagues ahead of just 2 years ago in terms of targeting, ease of use, and driving meaningful returns. To keep you abreast of what’s what on the platform, Anvil created a short primer on the platform’s functions and capabilities to equip you with the tools to interact with the millions of users that have accepted those not at all annoying or generic invites and actively engage on the platform. 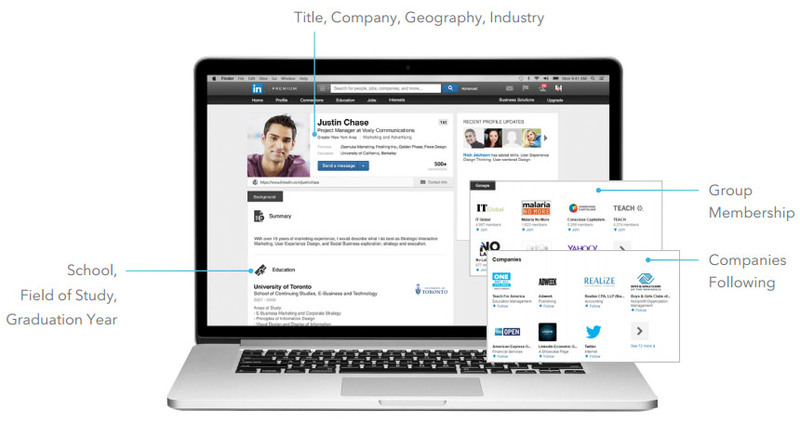 Why Should You Advertise on LinkedIn? 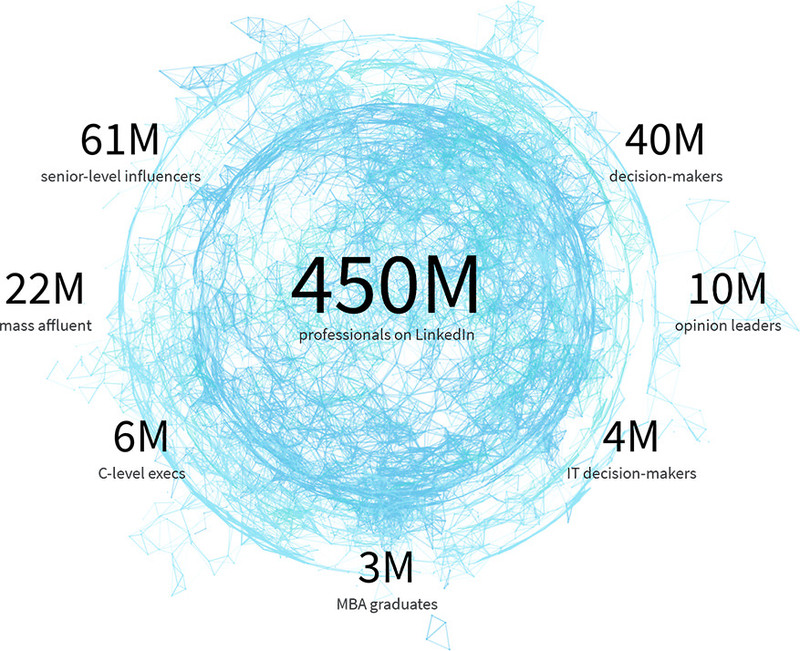 LinkedIn is self-described as “the world’s largest professional network,” and it lives up to its name. People utilize the platform to find new customers, build their brand, and to get expertise from peers in their industry. 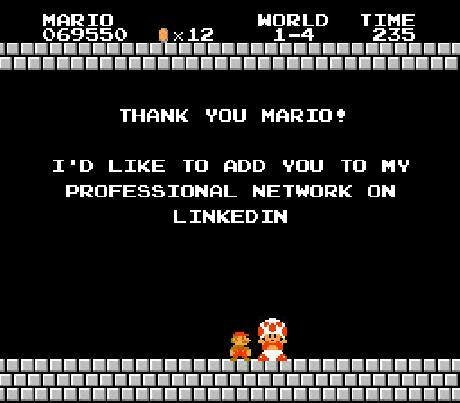 In contrast to other social platforms, users interact on LinkedIn in a professional context and are better primed to engage with content that applies to their profession and industry. Decision makers come to LinkedIn with the purpose to consume a range of professional content, which provides brands a great opportunity to reach relevant audiences. How You Can You Target Your Audience? Rich demographic data: target audiences based on job function, job title, seniority, company name, company industry, company size, geography, and gender. Interest-based targeting: target audiences by schools attended, fields of study, degrees attained, member skills, and member groups. What Ad Products Can You Use? Sponsored Content ads are native ads that show up in the platform’s feed, which captures the attention of highly engaged users and drives qualified traffic to your website. Sponsored content ads not only drives toward your off-site goals, but also sparks ongoing conversations, deepens customer relationships, and spreads naturally via organic sharing. 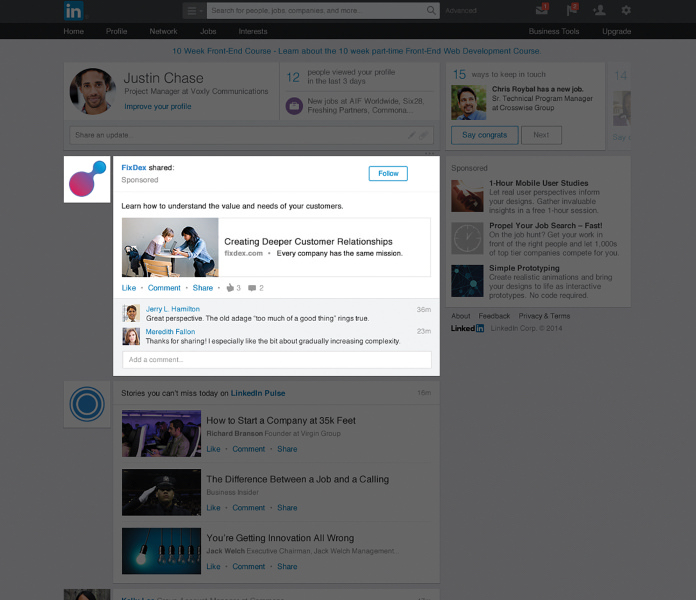 Sponsored content ads can be published directly to your Company Page, or shared only within target users’ feeds via Direct Sponsored Content ads. 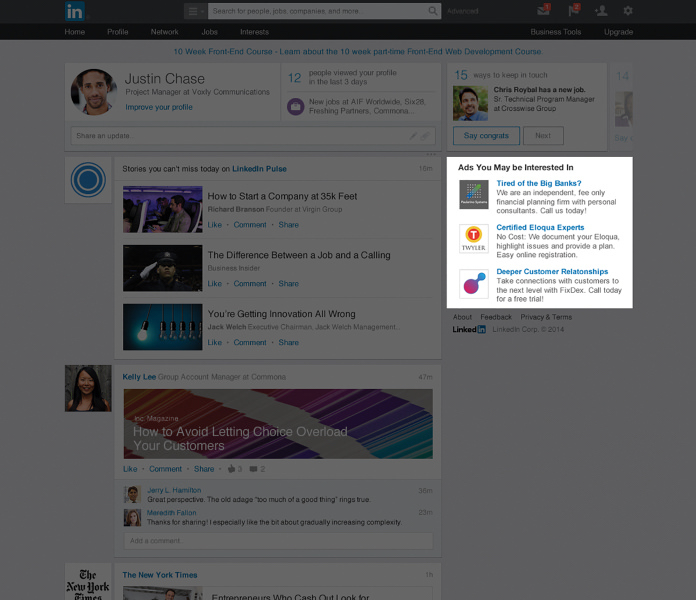 Text ads leverage inventory on the right-hand sidebar and top-of-feed that natively integrate with users’ feeds. In contrast to sponsored content ads, text ads utilize only a thumbnail and text to reach users and can be less invasive (and thus less costly). Used in conjunction with other ad types, text ads can help amplify ongoing performance, or be used as a test platform before larger investment into LinkedIn Ads. 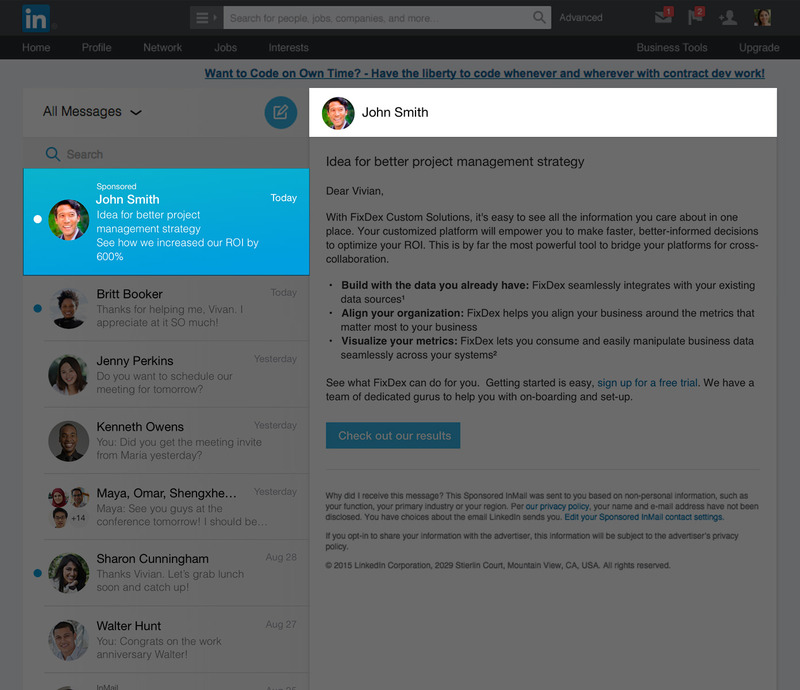 Sponsored InMail helps you reach your target audience with valuable content placed directly in their LinkedIn Inboxes. Utilizing personalized messages that adapt to screens of all sizes, cross-device, Sponsored InMail ads are a versatile product for the self-serve platform. In terms of pricing, LinkedIn charges on a cost-per-send model, meaning that messages will only be delivered/charged when members are active on LinkedIn. Additionally, strict delivery frequency caps ensure your message gets noticed. With that preview of what LinkedIn Ads can achieve for your business, we hope we have whet your appetite to consider using the platform to reach your audiences. If you’re ready to take the next step, give Anvil a ring. And stay tuned for our next article, which will outline benchmarks and best practices for the products listed above!